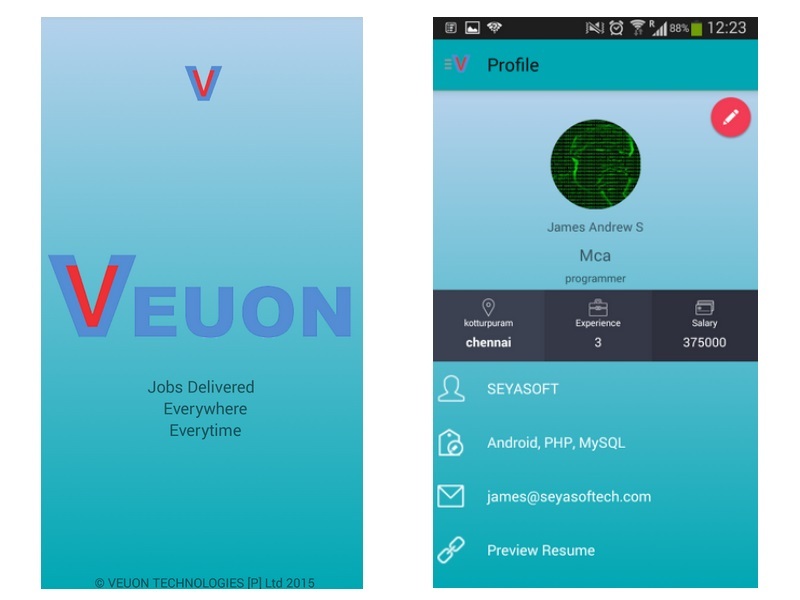 Mobile app Veuon, which seeks to connect job seekers and employers using GPS location technology, was the centre of attraction at CeBIT India 2015 on Friday. The app helps a job seeker to look for a specific job matching his qualification and experience in a specific geographic location, like a 10-kilometre radius in a particular city or so on, while an employer can search for talent within a specific region, like posting a job for a marketing executive within a 15 kilometre radius from its office. “Job seekers and employers can look for each other with ease through the app within a predefined geographic area. This is a unique and highly disruptive technology in the space of human resources,” said startup founder Amarlal G. Nichani. Developed in Chennai in April, the app works on a revenue model of charging the employer for each job posting with a time limit while it extends the facility for free to job seekers. “The job providers run their requirement for a cost and the job seekers provide their details free of cost,” said Nichani, adding Veuon’s algorithm matches job seekers and employers on the parameters of skill set, experience, distance and others. “A solution like Veuon would be very helpful for small companies which cannot ferry their employees over long distances and can easily find talent very near to their office,” he said. HCL is one of the 13 companies which has sampled Veuon while 900 job seekers are currently listed on the app. Nichani wants to relocate from Chennai to tech hub Bengaluru to further develop and expand Veuon. The app has been shortlisted in the top 10 percent global products category of the forthcoming events Surge 2016 and Web Summit 2015. Nichani envisages to further enhance the app in the near future by adding features like video profiling for job seekers, offering training videos, conducting recruitment tests for companies on mobile phones and others, and plans to meet venture capitalists, incubators, accelerators and other interested parties for development and expansion.